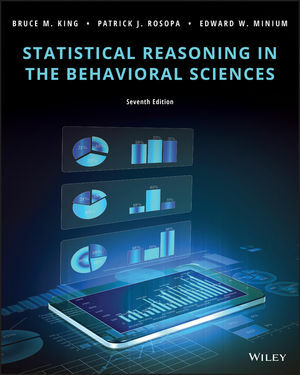 Cited by more than 300 scholars, Statistical Reasoning in the Behavioral Sciences continues to provide streamlined resources and easy-to-understand information on statistics in the behavioral sciences and related fields, including psychology, education, human resources management, and sociology. Students and professionals in the behavioral sciences will develop an understanding of statistical logic and procedures, the properties of statistical devices, and the importance of the assumptions underlying statistical tools. This revised and updated edition continues to follow the recommendations of the APA Task Force on Statistical Inference and greatly expands the information on testing hypotheses about single means. The Seventh Edition moves from a focus on the use of computers in statistics to a more precise look at statistical software. The “Point of Controversy” feature embedded throughout the text provides current discussions of exciting and hotly debated topics in the field. Readers will appreciate how the comprehensive graphs, tables, cartoons and photographs lend vibrancy to all of the material covered in the text.